Our hearts are full of joy for the dream that God gave us many years ago and fulfilled last year: Anchor Retreat Centre. We have seen with our own eyes how God provides to bring His will to pass through Anchor. Part of His provision were the many helping hands he blessed us with volunteering at Anchor from April 2017 until now. That’s why we are holding this event as a sign of appreciation to the efforts of our volunteers and of thankfulness and gratitude to our Heavenly Father. 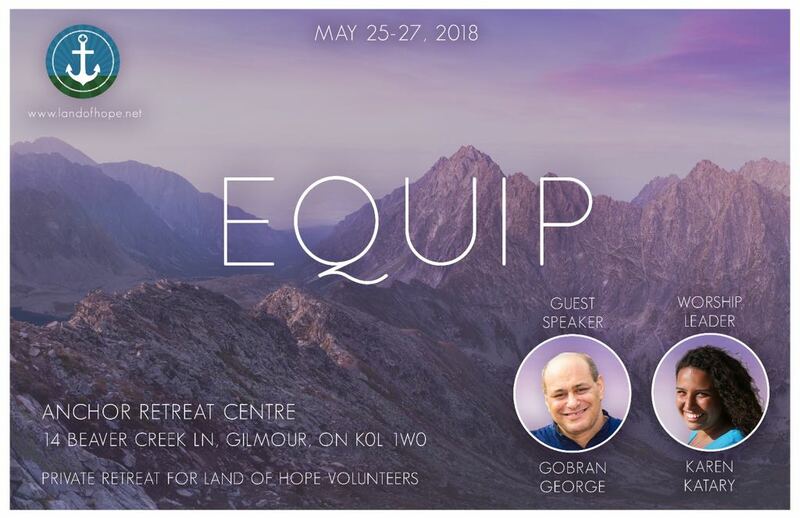 EQUIP is our volunteers retreat that is to take place at Anchor Retreat Centre May 25-27, it’s an opportunity to celebrate God’s goodness and have a great time of fellowship. Our guest speaker this retreat is the beloved Gobran George and worship times will be lead by the talented Karen Katary.